A controller is a server-side component of Rails that responds to external requests from the web server to the application, by determining which view file to render. The controller may also have to query one or more models directly for information[clarification needed] and pass these on to the view. A controller may provide one or more actions. In Ruby on Rails, an action is typically a basic unit that describes how to respond to a specific external web-browser request. Also note that the controller/action will be accessible for external web requests only if a corresponding route is mapped to it. Rails encourages developers to use RESTful routes, which include actions such as create, new, edit, update, destroy, show, and index. These mappings of incoming requests/routes to controller actions can be easily set up in the routes.rb configuration file. The user interface is the sum of all these things. Information architecture defines the structure of information. Interaction design lets people manipulate and contribute to that information. Visual design communicates these possibilities to people. 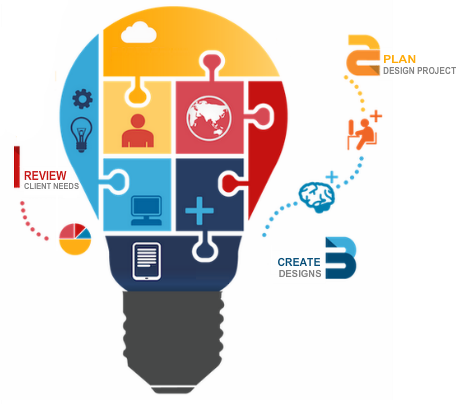 User Interface Design is the design of websites, computers, appliances, machines, mobile communication devices, and software applications with the focus on the user’s experience and interaction. The goal of user interface design is to make the user’s interaction as simple and efficient as possible, in terms of accomplishing user goals—what is often called user-centered design. Websites which automatically resize based on the screen size. We design fully responsive websites using native CSS as well as using frameworks like Twitter Bootstrap. We develop and test the responsive websites on various devices and browsers. We provide partial and complete redesign services for your existing website. It also covers content migration and server migration(if required). The Responsive Design is the sum of all these Below things. Responsive web design has become more important as the amount of mobile traffic now accounts for more than half of total internet traffic. Therefore, Google announced legeddon and started to boost the ratings of sites that are mobile friendly if the search was made from a mobile vice.Responsive web design, originally defined by Ethan Marcotte in A List Apart responds to the needs of the users and the devices they’re using. The layout changes based on the size and capabilities of the device. For example, on a phone, users would see content shown in a single column view; a tablet might show the same content in two columns. Web design encompasses many different skills and disciplines in the production and maintenance of websites. 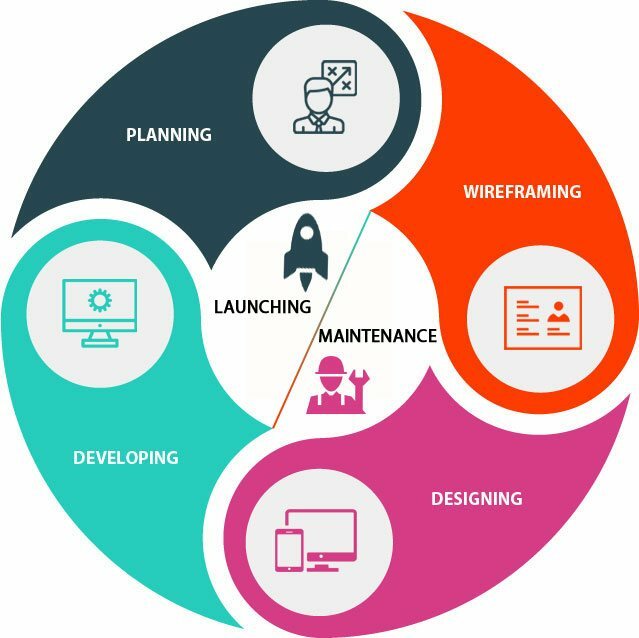 The different areas of web design include web graphic design; interface design; authoring, including standardised code and proprietary software; user experience design; and search engine timization. Often many individuals will work in teams covering different aspects of the design process, although some designers will cover them all. The term web design is normally used to escribe the design process relating to the front-end (client side) design of a website including writing mark up. Web design partially overlaps web engineering in the broader scope of web development. Web designers are expected to have an awareness of usability and if their role involves creating mark up then they are also expected to be up to date with web accessibility guidelines. Python is a widely used high-level, general-purpose, interpreted, dynamic programming language. Its design philosophy emphasizes code readability, and its syntax allows programmers to express concepts in fewer lines of code than possible in languages such as C++ or Java. The language provides constructs intended to enable clear programs on both a small and large scale. Python supports multiple programming paradigms, including object-oriented, imperative and functional programming or procedural styles. It features a dynamic type system and automatic memory management and has a large and comprehensive standard library.Python interpreters are available for many operating systems, allowing Python code to run on a wide variety of systems. 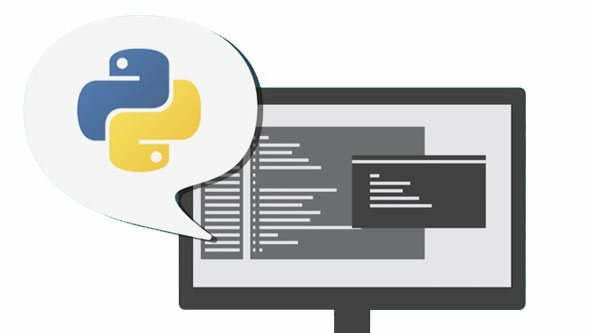 Using third-party tools, such as Py2exe or Pyinstaller, Python code can be packaged into stand-alone executable programs for some of the most popular operating systems, so Python-based software can be distributed to, and used on, those environments with no need to install a Python interpreter. CPython, the reference implementation of Python, is free and open-source software and has a community-based development model, as do nearly all of its variant implementations. CPython is managed by the non-profit Python Software Foundation. Python is intended to be a highly readable language. It is designed to have an uncluttered visual layout, often using English keywords where other languages use punctuation. Further, Python has fewer syntactic exceptions and special cases than C or Pascal.Because it has been developed as open source by thousands of contributors from around the world, Python is very well designed, fast, robust, portable, and scalable. With an uncluttered, easy-to-learn syntax and well-developed advanced language features, Python often exceeds the capabilities of comparable commercially available solutions. 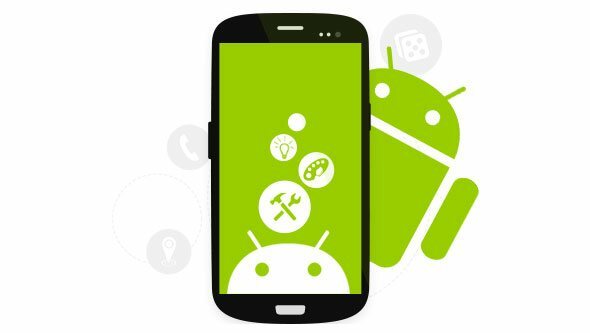 Android's source code is released by Google under open source licenses, although most Android devices ultimately ship with a combination of open source and proprietary software, including proprietary software required for accessing Google services. Android is popular with technology companies that require a ready-made, low-cost and customizable operating system for high-tech devices.At the same time, as Android has no centralised update system most Android devices fail to receive security updates: research in 2015, concluded that almost 90% of Android phones in use had known but unpatched security vulnerabilities due to lack of updates and support. Its open nature has encouraged a large community of developers and enthusiasts to use the open-source code as a foundation for community-driven projects, which deliver updates to older devices, add new features for advanced users or bring Android to devices originally shipped with other operating systems. The success of Android has made it a target for patent litigation as part of the so-called "smartphone wars" between technology companies. Android has the largest installed base of all operating systems of any kind. Android has been the best selling OS on tablets since 2013, and on smartphones it is dominant by any metric.Initially developed by Android, Inc., which Google bought in 2005, Android was unveiled in 2007 along with the founding of the Open Handset Alliance – a consortium of hardware, software, and telecommunication companies devoted to advancing open standards for mobile devices.As of July 2013, the Google Play store has had over one million Android applications ("apps") published, and over 50 billion applications downloaded.An April–May 2013 survey of mobile application developers found that 71% of developers create applications for Android, and a 2015 survey found that 40% of full-time professional developers see Android as their priority target platform, which is comparable to Apple's iOS on 37% with both platforms far above others.In September 2015, Android had 1.4 billion monthly active users. PHP started out as a small open source project that evolved as more and more people found out how useful it was. Rasmus Lerdorf unleashed the first version of PHP way back in 1994. PHP is a recursive acronym for "PHP: Hypertext Preprocessor". PHP is a server side scripting language that is embedded in HTML. It is used to manage dynamic content, databases, session tracking, even build entire e-commerce sites. iOS is a mobile operating system created and developed by Apple Inc. exclusively for its hardware. It is the operating system that presently powers many of the company's mobile devices, including the iPhone, iPad, and iPod Touch. In this huge and dynamic mobile marketing industry, mobile applications play an essential part in the advancement of the business. Both business and buyers, request inventive and out-of-the-box mobile applications that give clean and refined client experience. That is the reason the mobile applications are in tremendous interest nowadays. As the name proposes, mobile apps are the product that can be introduced on the advanced mobile devices.The development is somewhat of a complicated procedure, but when taken slowly will surely be a win. The standard ideology of building an application for the mobiles, one experiences a couple stages. The first would be planning and sketching. Most importantly, a developer should have an idea regarding what the application is going to do, why individuals would need to download it and the elements to be incorporated. This is the most essential stage and when done right, saves a lot of inconvenience and confusion in the coding stage. So as to produce an app for the iPhone, however, you must use a Macintosh workstation. These workstations utilize the Mac OS, which is both robust and intuitive. One of them is YuvaSoft Solutions situated in India serving the customers around the world. This iPhone App Development Company has the capability and mastery in making brilliant and dynamic iPhone applications. Their iPhone App Development engineers hold extensive experience in delivering diverse apps. They utilize the most exceptional innovation and the most recent iPhone SDKs to make applications customized to customers’ requirements. 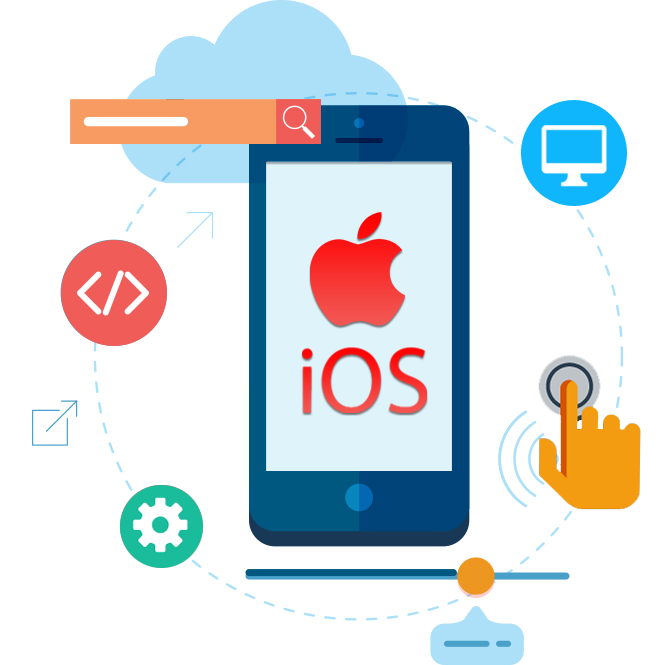 For more data on offshore development and get your own iOS app developed, kindly visit: http://www.yuvasoftech.com one of the best iPhone App Development Company and get a free quote now! React was created by Jordan Walke, a software engineer at Facebook. He was influenced by XHP, an HTML component framework for PHP. It was first deployed on Facebook's newsfeed in 2011 and later on Instagram.com in 2012. It was open-sourced at JSConf US in May 2013. React Native, which enables native Android, iOS, and UWP development with React, was announced at Facebook's React.js Conf in February 2015 and open-sourced in March 2015. React Native is an open-source mobile application framework created by Facebook. It is used to develop applications for Android, iOS and UWP by enabling developers to use React along with native platform capabilities. One of them is YuvaSoft Solutions situated in India serving the customers around the world. This React Native App Development Company has the capability and mastery in making brilliant and dynamic iPhone and android applications. Their React App Development engineers hold extensive experience in delivering diverse apps. They utilize the most exceptional innovation and the most recent iPhone and android SDKs to make applications customized to customers’ requirements. For more data on offshore development and get your own iOS and android app developed, kindly visit: http://www.yuvasoftech.com one of the best iPhone and android App Development Company and get a free quote now! Corporate users of Node.js software include GoDaddy, Groupon, IBM, LinkedIn, Microsoft, Netflix, PayPal, Rakuten, SAP, Voxer, Walmart, and Yahoo!.